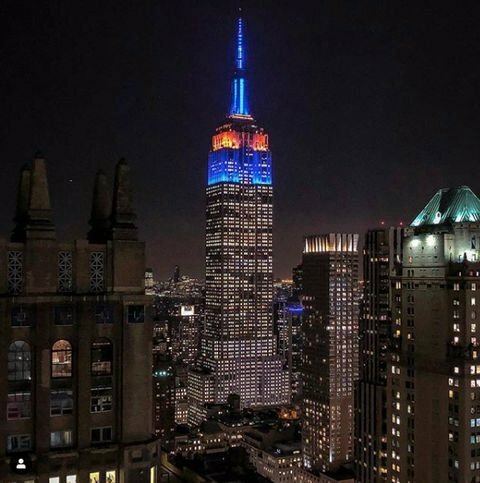 The Empire State Building in New York City Glows Blue and Orange for the Auburn Tigers. The owners are rotating the display to show the colors of all four teams in the Final Four. #esbfan (Mark Melzer) posted his photo on his Instagram account. Watch the game today at 5:09 PM on CBS 8.